Let it all hang out! 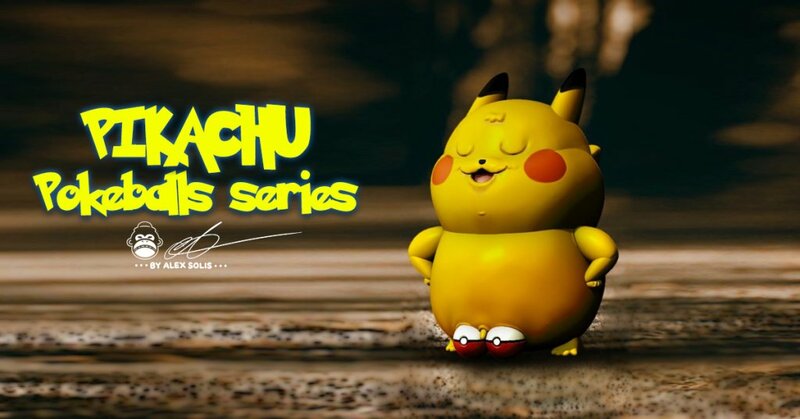 HA HA HA HA HA, Alex Solis pokes more fun at familiar characters (sorry no so sorry for the pun) The first from the Pokeballs series figure will be Pikachu as he becomes full naturist with the breeze flowing between his bits. Alex once again turns his illustrations into a 3D art collectable. Right now there’s no official release date, stay tuned for more photos and official release info. We hope SNORLAX will be next in line, HA.